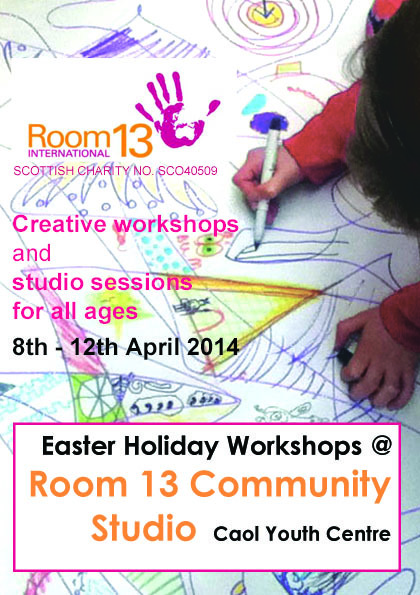 Room 13 Community Studio in Caol Youth Centre will be running the popular Very Young Artists workshop and Studio Explorer Sessions along with family friendly workshops for all ages allowing plenty of opportunity to get creative this Easter holiday! We are pleased to introduce our new series of Saturday workshops. Focusing on different themes and subjects, we’ll explore new materials, techniques and ways of making art in both 2D and 3D. A good way for keen young artists to get more quality time with our Artists-in-Residence. More information. Download Booking form. 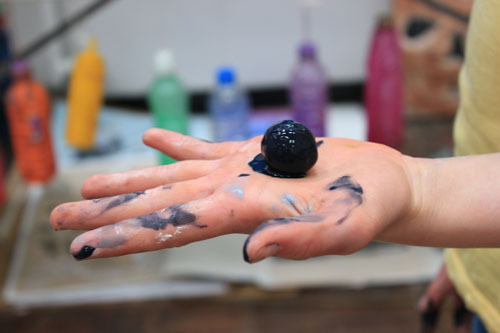 Have a look at some photos from our first workshop in the series, exploring Colour & Light.